We are thrilled to confirm that we have not only been nominated but we have also been chosen at finalists by the expert judges for the Cambridgeshire Digital Awards for the ‘Use of Video For Business’ – the video in which we have been chosen for is our Creative Networking promotional video which was made by Ellen Jackson Videography. This video can be found on our facebook page, on Ellen Jackson Videography YouTube page, our website for Creative Networking events and across our blog posts and on our social media platforms. The video shows exactly what people can expect from Creative Content Company, who attends and the sorts of events that we run through our networking group. 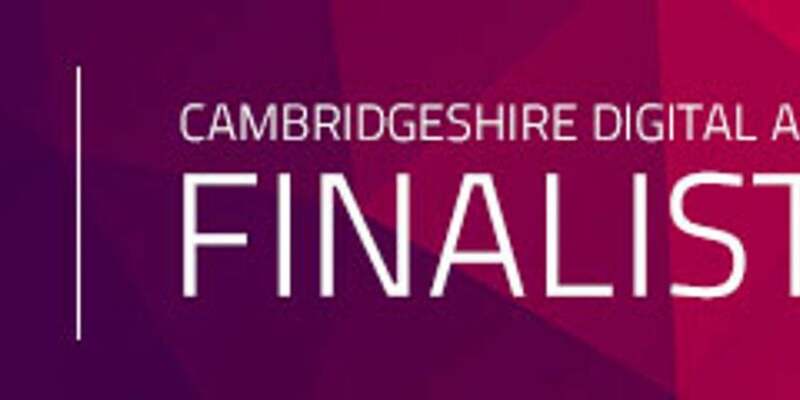 We are thrilled to have been nominated and then chosen as finalists for the Cambridgeshire Digital Awards which was established in 2015. Their awards reward innovative and progressive thinking by businesses and this is why it has been such an honour to be made as finalists for such a brilliant award. However, what we really like about this award is that it just goes to show that networking works, Creative Content Company met Ellen Jackson Videography at Creative Networking, by meeting at our networking events we quickly formed a business relationship and Ellen Jackson Videography was the obvious choice as the company we wanted to use to make a video to promote our business. Ellen captured the style and feeling of our networking events perfectly and this is why we have been so happy to share the video so frequently on social media and in so many different places – and this is the reason we were nominated and then made finalists for the ‘Use Of Video For Business’ award with Cambridgeshire Digital Awards. We would also like to share personal congratulations with Geek Designs who were our office buddies, who designed and maintain our website and are finalists for B2B Website award with Cambridgeshire Digital Awards.